With this next week’s temperatures hitting the upper 70s and full sun, I’m itching to put some seeds in the edible garden: chard, spinach, kale, radishes and sweet spring peas – which brings me to this recipe. 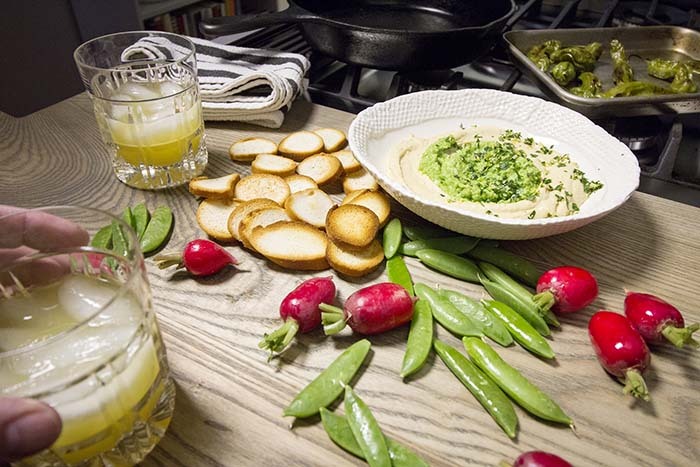 Sabra’s Lemon Twist Hummus is my personal favorite; bright, lemony without being sweet or tart, it’s the perfect backdrop to add a lovely spring pesto topping – and the gremolata with additional lemon zest, parsley and finely chopped garlic really brings the lemon flavor home. The Professor and I cook together almost every night and one of the nice things about having hummus in our refrigerator, is that it makes for a great nibble as dinner preparations are under way. 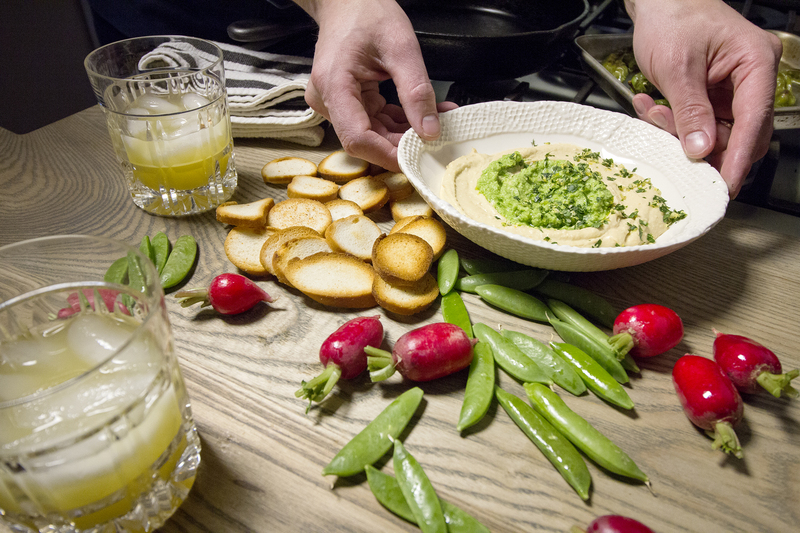 You can adopt this tradition at home by pulling out your favorite hummus, gathering a few seasonal veggies or your favorite crudité, add a few crostini, pour a refreshing cocktail and enjoy connecting with family. NOTE: This recipe makes more than enough pea pesto for the topping; we used the remaining pesto to dress some pasta for lunch or dinner or you can spread on toast for a very tasty breakfast! 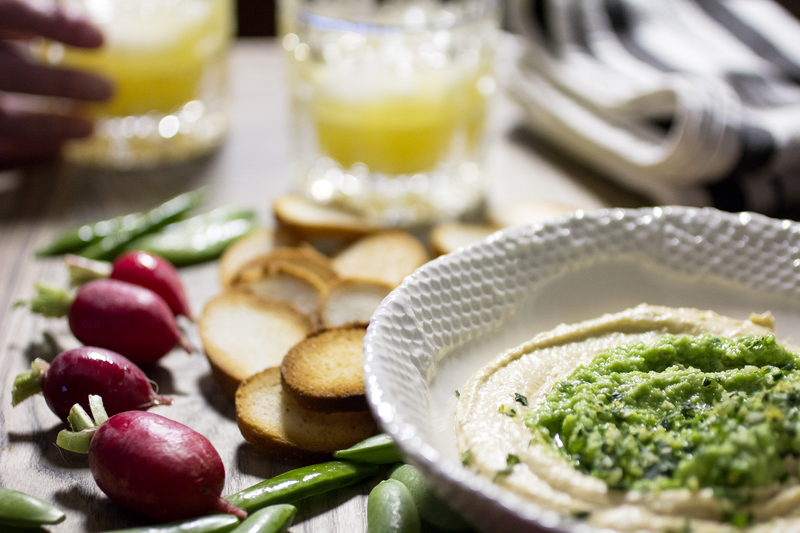 Top Sabra Lemon Twist Hummus with 2-3 Tablespoons of pesto, sprinkle with 1-2 teaspoons gremolata, drizzle with a bit more olive oil and serve with your favorite spring vegetables, crostini bagel chips or dippers of your choice. Thanks Gerry – here’s to a fabulous summer! I love this Deb & Rod – so simple to make and it bursts off the screen with the brightness of spring! 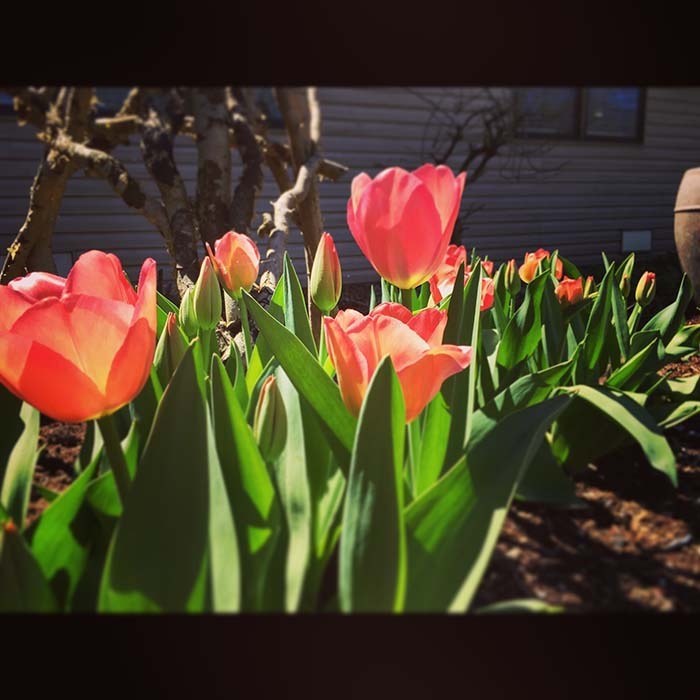 Thanks Jane – we’ll be enjoying this one all spring!